Beach villa Lanka ayurveda treatment. 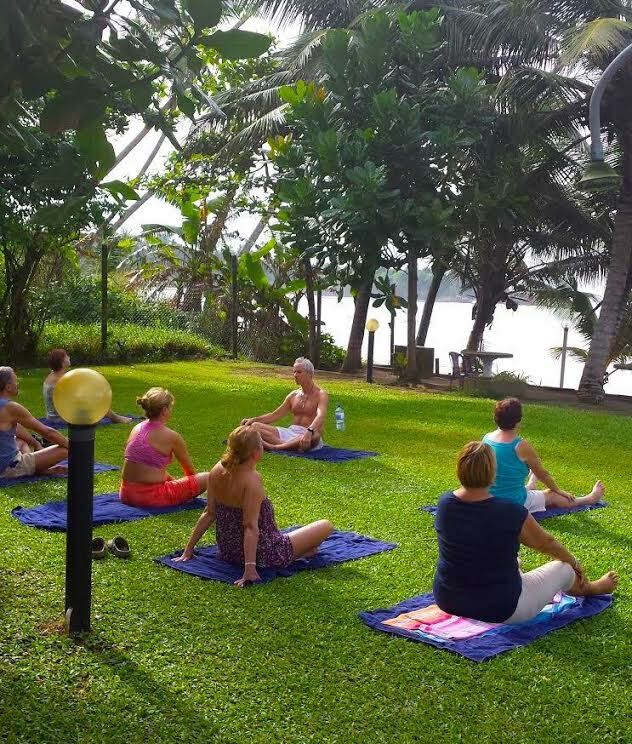 Many travelers reguarly visit Ayurveda retreats in Beach Villa Lanka to benefit from Ayurveda treatments, slow down, relax and find peace. We are looking forward to host you and help you to find your inner peace. All packages are formed according to prior consultation between you and the doctor and can be shorter or longer than specified days above. Ayurvedic treatments are health treatments which follows the teachings of Ayurveda. Each Ayurveda treatment is individually planned according to the needs of the patient and it should be prescribed by a qualified Ayurvedic doctor. Every cure includes a specific Ayurvedic diet which corresponds with the patient's constitution type. Along with this diet, various treatments are applied to help balance the substances in your body, promote inner harmony and contribute to overall well-being, as well as making your body and mind strong enough to combat numerous diseases. Many travelers reguarly visit Ayurveda retreats in Beach Villa Lanka to benefit from Ayurveda treatments, slow down, relax and find peace. We are looking forward to host you and help you to find your inner peace. For 7 to 10 day Ayurveda program we can give you from 10% to 30% of AYURVEDA SPECIAL DISCOUNT on a selected room. For 10 day Ayurveda program or more we can give you from 30% to 50% of AYURVEDA SPECIAL DISCOUNT on a selected room. In Beach Villa Lanka we are offering and providing programs for regeneration and therapy. Therapy is conducted by an international European therapist and instructor of different techniques for natural regeneration and treatment. The therapist is achieving amazing results and he leads a number of programs in European spas and in Sri Lanka. Along with Ayurvedic doctors from Sri Lanka we prepared for you the most effective program tailored to your needs . Ayurveda is a system of traditional medicine that originated in India. The word Ayurveda is a Sanskrit word made up from "āyus," which means "life" and "veda" which means "knowledge" or "science". Ayurveda, or the translation of knowledge about life, covers four aspects of man: the soul, mind, emotions and body. This means that a man in a holistic way, it teaches how to live in harmony with nature and helps him to live a healthy life. We will regenerate the body in a natural way, eliminating potential health problems with natural energy. We will nurture the skin to regenerate it with specific informed organic coconut oil. From the body we will eliminate all energy blocks so we can fill the body with universal energy. You could participate in the round table disscusion or in relaxed chat on the terrace, while drinking energy tea, where we will learn to regulate and avoid stress, how to sleep good and enjoy life. Or you can simply enjoy the sun, sea, fresh seafood. According to the program your body and soul will be cleaned, body will be energy-balanced, all the burden will be forgotten as well all the stress and you will feel reborn. In addition to the above program you will also benefit from the individual treatments and personal counseling for a healthy life with a special Ayurvedic doctor and a special bio and theta therapist-instructor. Available for organised groups or by request in advance. Delovni čas: ponedeljek - petek, od 9 do 16h.